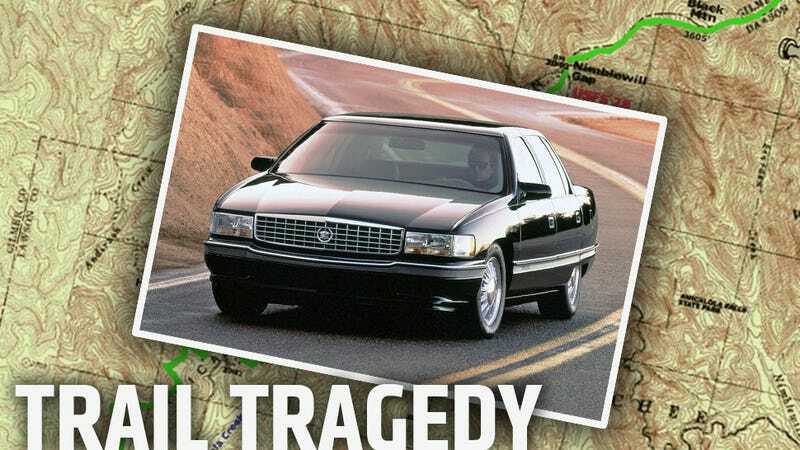 A celebration of the Appalachian Trail in Damascus, Virginia ended tragically when an elderly driver, suffering an as-yet unknown medical incident, plowed his '97 Cadillac DeVille into the crowd of hikers. Thankfully, no one was killed, but up to 60 people were injured. The Cadillac accelerated to about 25 MPH when it hit the crowd of hikers on a two-lane bridge, sending hikers flying all around the car. The collected crowd acted quickly and heroically, gathering to help tend to injured and even lifting the heavy car off of victims. The festival celebrating the long, scenic trail will go on, as it has for 27 years, on Sunday. We hope everyone makes a full recovery. A fund to help the uninsured victims has been set up, and is available from the TrailDays site.